Our partnership with Valley Kidney Associates and Nephrology Associates – we are now Kidney Care Specialists, LLC, Delaware Valley Nephrology and Hypertension Associates Division. 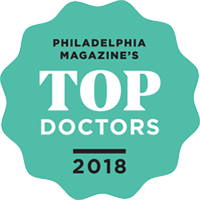 Dr. Peter Fumo was awarded Philadelphia magazine Top Doctors 2018™ for Nephrology. Dr. William McElhaugh was awarded Philadelphia magazine Top Doctors 2018™ for Nephrology. Delaware Valley Nephrology and Hypertension Associates is committed to providing outstanding care for patients with kidney disease and hypertension. Our physicians and staff provide treatment in a collaborative process with each patient, from the management of hypertension and chronic kidney disease to multiple dialysis options including hemodialysis, peritoneal, self care and nocturnal. If you are referred for a kidney transplant, we will continue to follow you after you receive your new kidney and will work together with you and your transplant team to help ensure the long term success of your transplant. View and learn more about our physicians. Delaware Valley Nephrology participates in clinical research activities, with Dr. Jones as the director and Lynne Parker, our Nurse Practitioner, as our research coordinator. For over 30 years, our full-service nephrology practice has been seeing patients with all forms of kidney disease, providing them with a wide scope of services and evaluations. To get started, click here for our Appointments page, or call us at (267) 437-3163 to schedule your appointment.